At 6pm on 9 August, thousands of people plan to switch off the BBC. This is to protest against what many feel is biased reporting from the broadcaster. 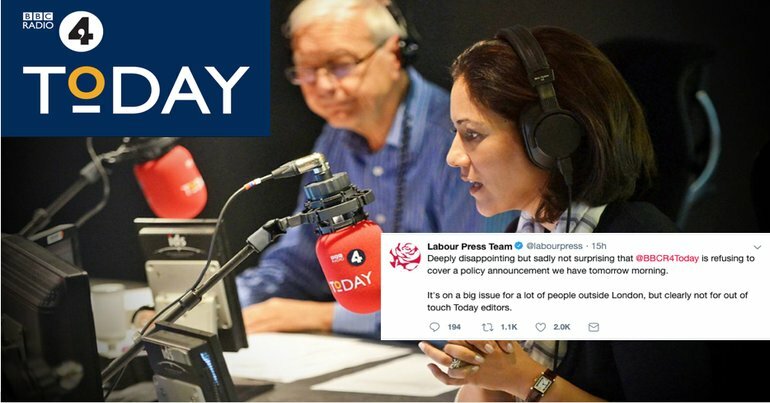 Using the hashtag #BBCswitchoff, people on Twitter aim to show solidarity across social media to support Jeremy Corbyn and other Labour members amid the latest accusations of antisemitism engulfing the Labour Party. Attacks on the Labour leader have been constant from within the party and the mainstream media. But social media has become a powerful tool of resistance. And ‘BBCswitchoff’ looks set to do the same, as momentum has been gathering for days. For all Socialists with/without TV . Unfortunately, antisemitism does exist. And it’s only fair that Corbyn and his supporters, including many Jewish people, are given adequate coverage when they speak out against it. As The Canary reported on 8 August, Jewish Voice for Labour (JVL) organised a protest outside the BBC. 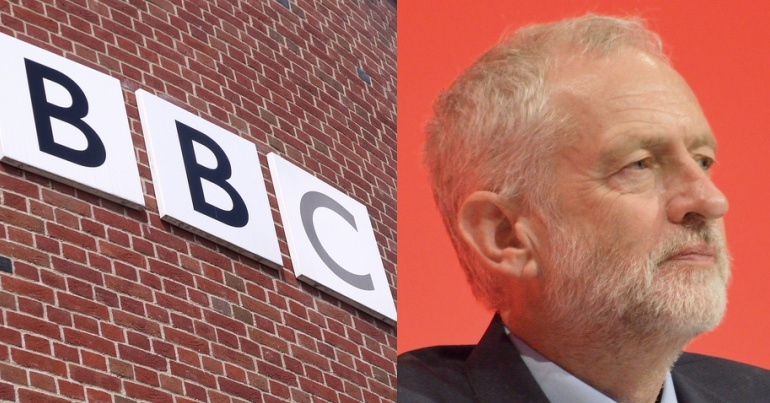 Protesters challenged what they also see as the BBC‘s role in perpetuating the Labour antisemitism row, and delivered a letter of complaint. Because many in pro-Corbyn Jewish communities feel excluded. As JVL secretary Glyn Secker explained: “They really don’t want us on the media”. But social media is changing that. In the 2017 general election, Corbyn “increased Labour’s share of the vote by more than any other of the party’s election leaders since 1945”. And subsequent analysis and research showed that Labour’s grassroots support and use of social media was key to this success. Although editors or owners might control the output of the BBC and most mainstream media outlets, they don’t (yet) control ordinary people’s voices on social media. Recent events have shown just how important this is. The BBC ignores movements like this Twitterstorm at its peril. Because although the current revolution isn’t televised, that certainly doesn’t mean it’s not happening. – Support Jewish Voice for Labour and Jewish Voice for Peace. – Find out about the work done by the Media Reform Coalition.